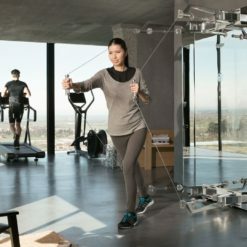 The Technogym Kinesis Personal classes as high quality fitness furniture. 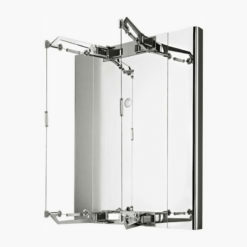 This stylish piece of equipment blends seamlessly into luxury home and hospitality environments. 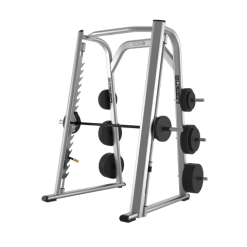 It gives gym users a varied workout, touching on a range of muscle groups. 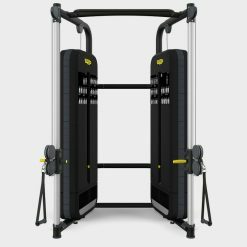 The Technogym Kinesis Personal VISION version is made with three steel panels, applied to a rigid structural support which acts as a flat-facing mirror. The super mirror finish allows you to easily check your posture when exercising. You can enhance your machine with more luxurious HERITAGE finishes, choosing from BLACK, LEATHER and GOLD. *Price includes Delivery & Installation. 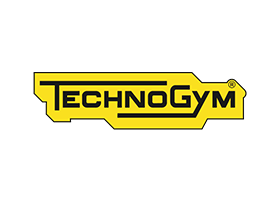 Perform an unlimited range of movements with the Technogym Kinesis. 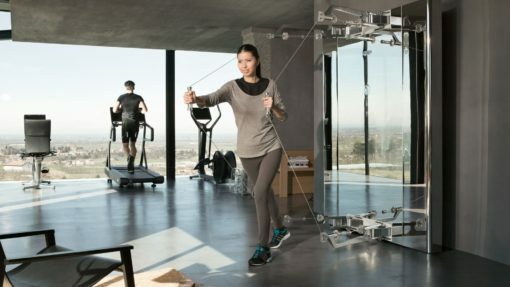 The Technogym Kinesis Personal is the ultimate piece of designer gym furniture and is ideal for your home or wellness spaces. It also allows you to rediscover and improve strength, coordination, flexibility, posture control and even your breathing control. 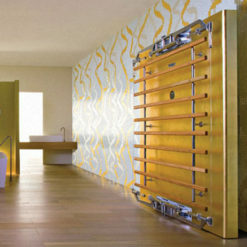 As a high-end product, the Kinesis meets the needs of professional wellness areas which focus on unique and exclusive design. 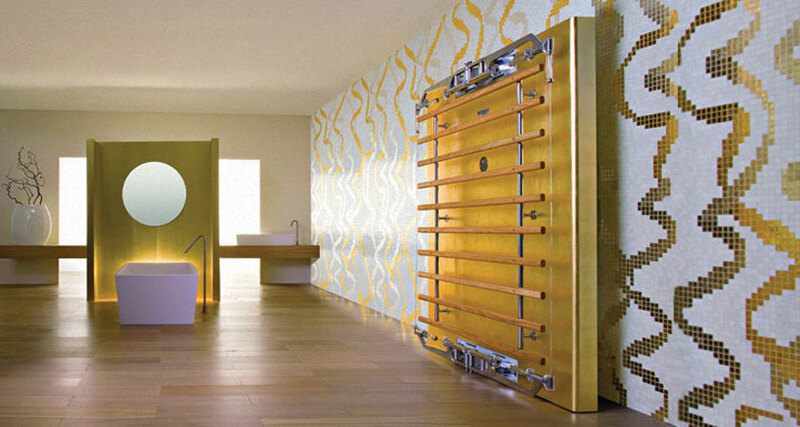 It is the perfect solution for hotels, fitness clubs and similarly spas wishing to offer a special experience for their customers. Coming in a range of finishes, opt for a mirrored design, the heritage leather finish, heritage black and gold. The patented FullGravity™ technology allows users to activate the entire body. 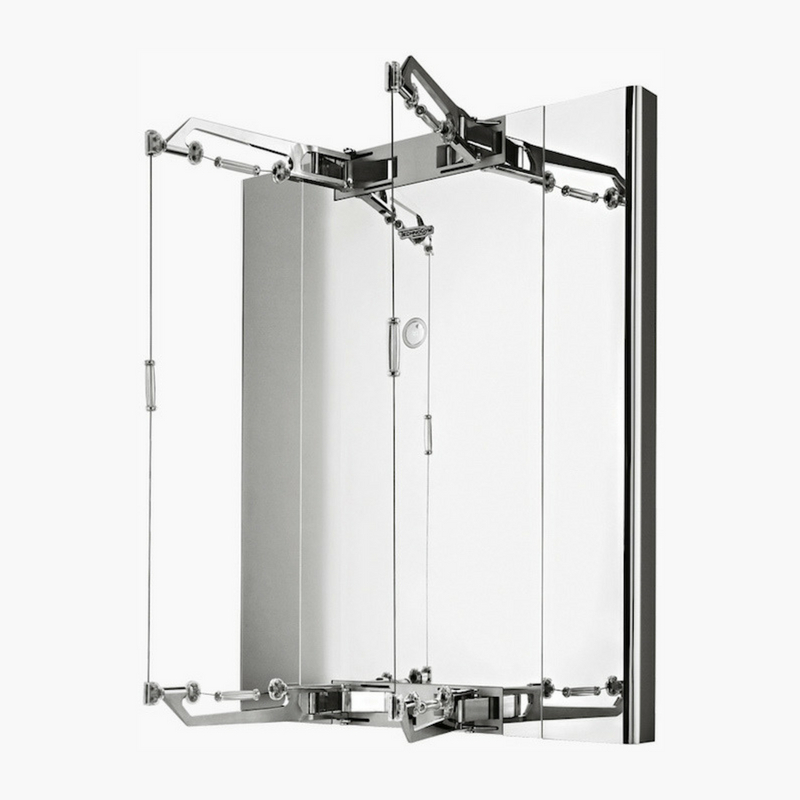 The loop system features a 360 degree rotation, enabling movement without imposing on the body. With the Kinesis also, you can do over 200 exercises! All within one square meter and without having to adjust the equipment. 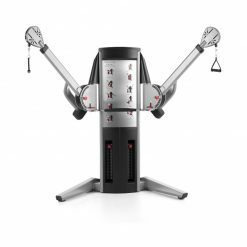 Perform standard or combined movements with this multi-functional machine. 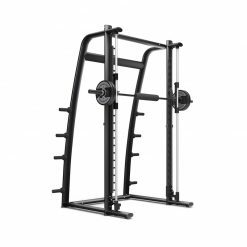 Cable machines are a great way to isolate muscle groups and ensure a well-rounded workout. They also provide you with proper form and technique as you perform the movements. 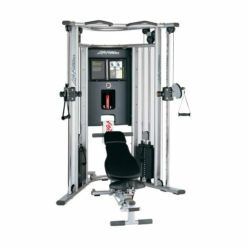 Cable machines allow you to perform a range of fluid exercises, without the hassle of changing equipment. You are less like to injure yourself too, making them great for senior users or rehabilitation. They are a great way to perform fluid movements and work on imbalances within the body. So if you are looking for a space-saving option, that gives you a whole-body workout, the Kinesis is the perfect option.